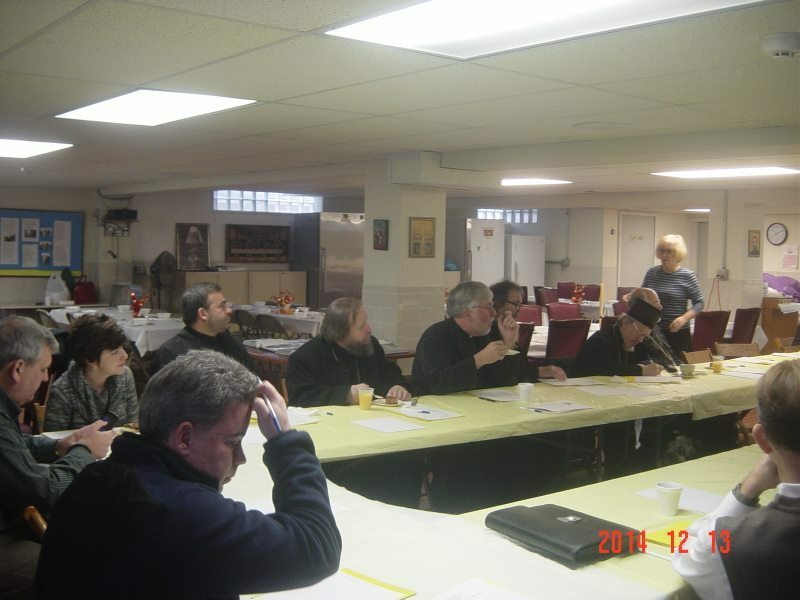 Carmichaels, PA - His Grace Bishop Dr. MITROPHAN initiated and actively participated in the Twenty-Sixth Annual Pittsburgh Deanery Meeting on Christian Education at St. George Serbian Orthodox Church in Carmichaels, Pennsylvania. 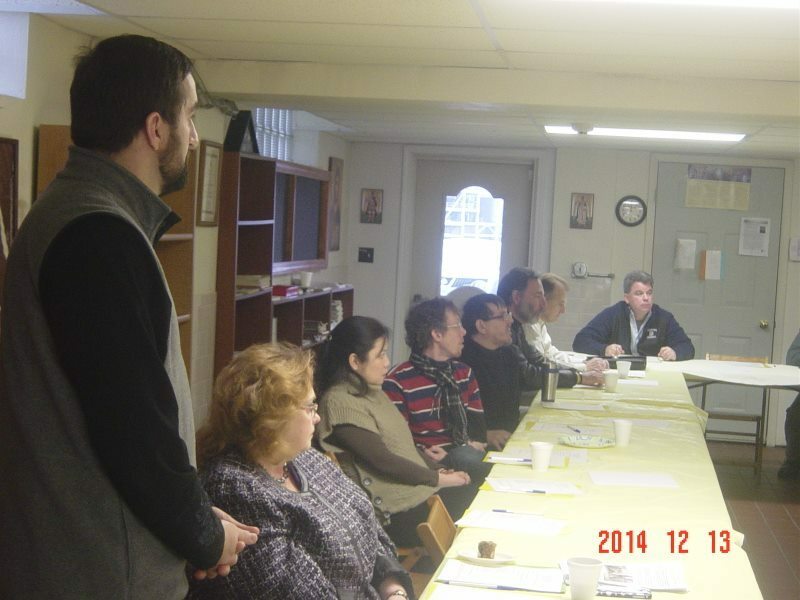 The meeting was held on December 13, 2014, the day St. Andrew the First-Called Apostle was commemorated. Very Reverend Stavrophor Rade Merick, Dean of the Pittsburgh Deanery greeted the attendees. 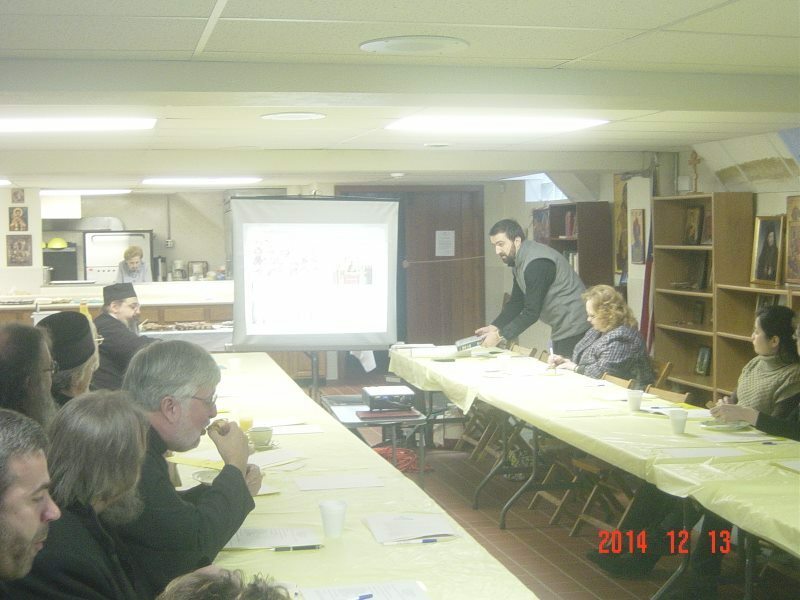 Father Dragan Zaric of St. Nicholas Serbian Orthodox Church was the featured speaker. Father Zaric is an iconographer. He spoke at length on the subject of iconography. Icons are visible expressions of the Orthodox Faith. Father Zaric gave a historical perspective on iconography. He described iconography in the context of Holy Tradition. Reference was made to the Bible and the Ecumenical Councils. 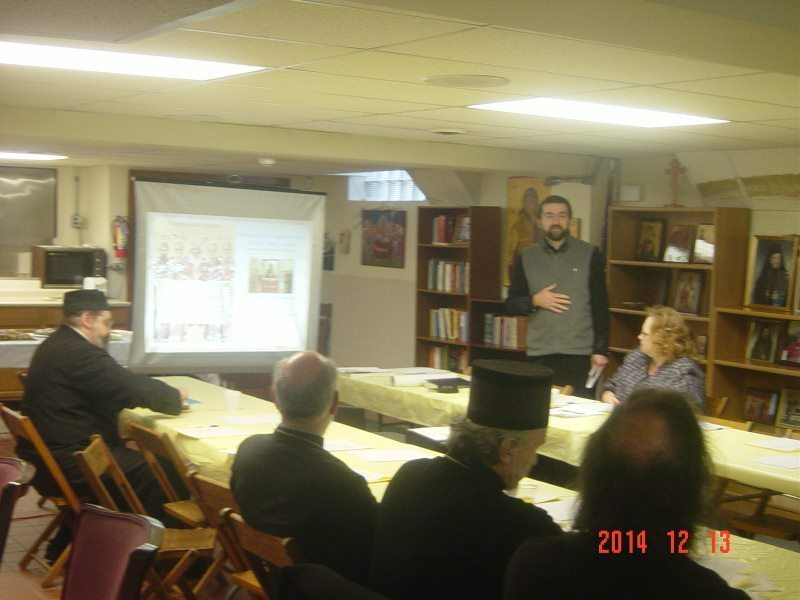 Father Zaric’s presentation included visuals of icons. 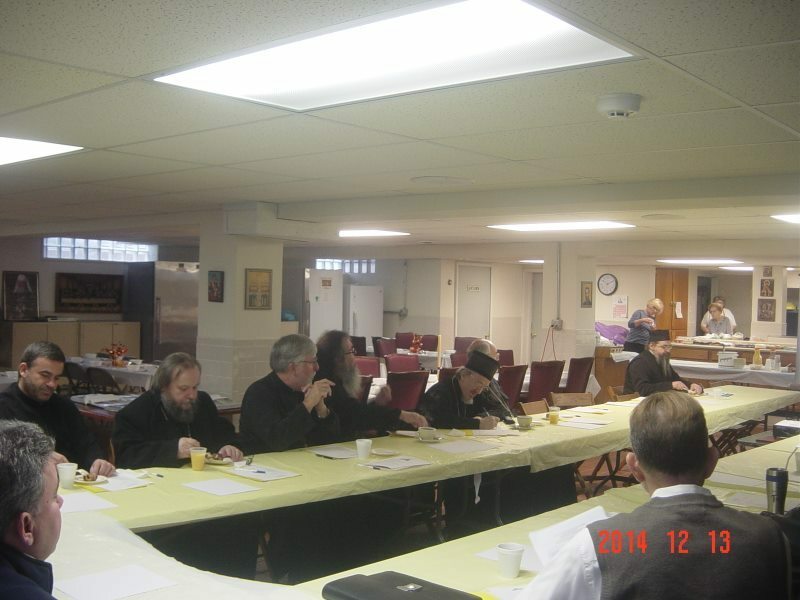 Reports of Deanery parish Christian education programs followed the discussion of Father Zaric’s talk. The Pittsburgh Deanery has nine parishes and one mission parish. Parishes are in Ohio(1), Pennsylvania(8) and West Virginia(1). In addition to His Grace Bishop Dr. MITROPHAN , Father Merick and Father Zaric, clergy attending included Very Rev.Stavrophor Stevo Rocknage; Very Rev.Stavrophor Milan Krstic, Very Rev.Rajko Kosic, and Very Rev.Milan Medakovich. Parish Christian educators and individuals interested in Christian education attending the meeting included: Rose Marinkovich, David Silianoff, Nikola Klipa, Mark Stupar, Melissa Leech, Brian Hayden, Sonia Janson, Paulette Radock, Mildred Bezjak, Subdeacon Anthony Miralles, Dr.Romanos Pierce, Blenda Chao, Felecia Williamson, Dianna Brozich, Dorothy Smargie and Millicent Mitzie Hunchuck. Stan Brozik, Executive Board President of St. George Church, welcomed the participants. Mr. Brozik spoke about the importance of Christian education including the education of students at St. Sava School of Theology in Libertyville, Illinois. Christian Education remains a priority in the Eastern American Diocese. His Grace Bishop MITROPHAN emphasized the importance of icons in our lives. His Grace said people need to know about the icons in the Holy Orthodox Church. His Grace said many miraculous icons exist. We have to proclaim the teachings and beliefs of the Church to others and educate adults as well as children and youths. 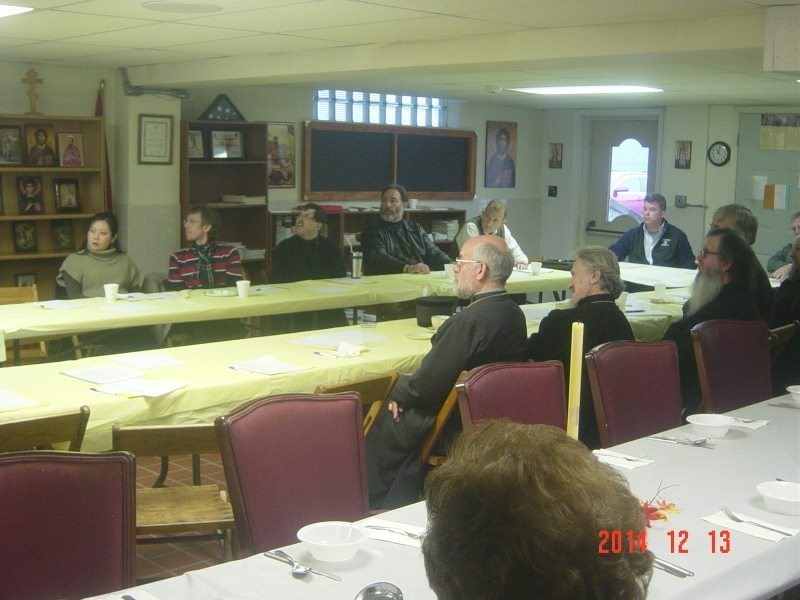 The St. George Serbian Orthodox Church was honored to host this meeting. The St. George Kolo was warmly recognized and thanked for the hospitality provided.